The year was 1949. 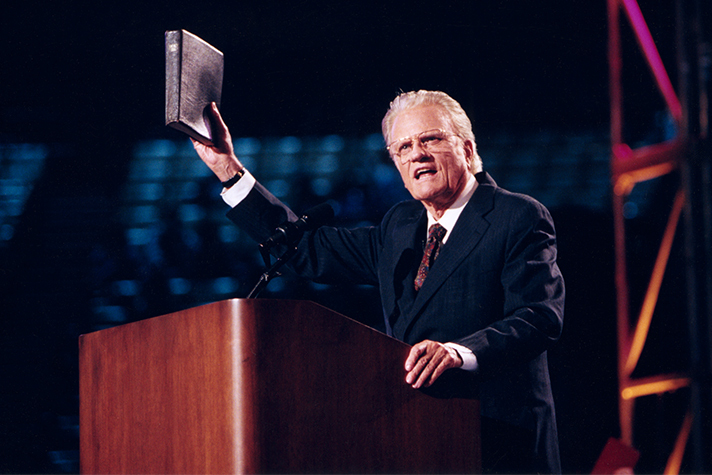 Thirty-year-old Billy Graham was unaware that he was on the brink of being catapulted into worldwide fame and influence. Ironically, as he readied himself for his breakthrough crusade in Los Angeles, he found himself grappling with uncertainty — not over the existence of God or the divinity of Jesus but over the fundamental issue of whether he could totally trust what his Bible was telling him. In his autobiography, Graham said he felt as if he were being stretched on a rack. Pulling him toward God was Henrietta Mears, the bright and compassionate Christian educator who had a thorough understanding of modern scholarship and an abounding confidence in the reliability of the Scriptures. Yanking him the other way was Graham’s close companion and preaching colleague, thirty-three-year-old Charles Templeton. Templeton seemed to be winning the tug-of-war. “If I was not exactly doubtful,” Graham would recall, “I was certainly disturbed.” He knew that if he could not trust the Bible, he could not go on. The Los Angeles crusade — the event that would open the door to Graham’s worldwide ministry — was hanging in the balance. Graham searched the Scriptures for answers, he prayed, he pondered. Finally, in a heavy-hearted walk in the moonlit San Bernardino Mountains, everything came to a climax. Gripping a Bible, Graham dropped to his knees and confessed he couldn’t answer some of the philosophical and psychological questions that Templeton and others were raising. For me, having lived much of my life as an atheist, the last thing I want is a naive faith built on a paper-thin foundation of wishful thinking or make-believe. I need a faith that’s consistent with reason, not contradictory to it; I want beliefs that are grounded in reality, not detached from it. Today, having now retraced my original investigation, my confidence in that 1981 decision to abandon atheism and cling to Christ has only been reinforced. Asking uncomfortable questions hasn’t diminished my faith; it has strengthened it. Probing the “soft spots” of Christianity has reaffirmed for me once more the fundamental soundness and logical integrity of the faith. Refined by the rigors of intellectual scrutiny, my faith has emerged deeper, richer, more resilient, and more certain than ever. II Peter 3:15-18a — Bear in mind that our Lord’s patience means salvation, just as our dear brother Paul also wrote you with the wisdom that God gave him. He writes the same way in all his letters, speaking in them of these matters. His letters contain some things that are hard to understand, which ignorant and unstable people distort, as they do the other Scriptures, to their own destruction. Therefore, dear friends, since you have been forewarned, be on your guard so that you may not be carried away by the error of the lawless and fall from your secure position. But grow in the grace and knowledge of our Lord and Savior Jesus Christ. Blessed Lord, you speak to us through the Holy Scriptures. Grant that we may hear, read, respect, learn, and make them our own in such a way that the enduring benefit and comfort of the Word will help us grasp and hold the blessed hope of everlasting life, given us through our Savior Jesus Christ. Amen. —Book of Common Prayer, adapted for Lutheran Book of Worship, 1978. The book A Short History of Nearly Everything by Bill Bryson is a fascinating overview of what scientists have learned about our earth and the whole universe. It covers everything, from the very beginnings 14.5 billion years ago (give or take a couple months) right on up to the present time. Bryson describes what scientists believe about the origins of the universe, about the birth and the death of stars, and about the vast number of far-flung galaxies. Bryson then turns his attention to planet earth and how it began, how we got our moon, how the seas and dry land were formed, and how, over immense periods of time, the continents have been moving around on the face of the earth like rubber ducks in a bathtub. He also describes how perfectly our world had to be placed and fine-tuned in order to allow for even the possibility of life. Then he describes current theories on the origins and evolution of life, in all its beauty and order and complexity. Bryson even has a few chapters on that little sliver of time we would call the entire history of the human race. Bill Bryson writes well, gives a wonderful account of what science has discovered about all these things, and adds a delightful human touch by telling amusing stories of the scientists who made these discoveries, and their odd quirks and eccentricities. And he does this all in less than five hundred pages. Genesis chapter one could also be called ‘a short history of nearly everything.’ It also describes the beginnings of the universe and our planet earth, the origins and diversity of life, and the dawn of the human race. But Bill Bryson and the first chapter of Genesis seem to tell two very different stories. So, now what? This looks like a clear case of irreconcilable differences, and the last several hundred years has certainly been filled with plenty of nastiness by those on both sides of this great divide between science and faith. What side are you on? Christians do believe Genesis to be God’s inspired and Holy Word. But we know scientists are really smart people, and they have come up with some pretty amazing gadgets to make our modern lives easier. Could they be so very wrong about so many things? What are we to think? This is what I think. I believe that the Bible is God’s Word from cover to cover, and if anything any scientist says goes against the Bible, I say forget the scientist, I am sticking with the Word of God. However, this all depends on interpreting what the Bible really is saying, and it all depends on what scientists have really discovered. Good, solid, Bible believing Christians can and do disagree all the time on precise meanings of specific texts. And scientists, all the time, come to vastly different conclusions based on the very same evidence. What does Genesis chapter one say? Well, there are three basic foundational truths there that set the stage for the whole rest of the Biblical story, and which are essential to understanding your life and where you come from and where you are going. I believe these three truths with my whole heart. First of all, it says God created the world. Second, it says God created it good. Third, it says God created mankind in HIS image. We are not just a more ‘fully evolved’ form of life, even if we share 96% of the same DNA as an earthworm. And just because a chicken can be taught to plink out ‘America the Beautiful’ on a miniature piano for a television program last week, and chimpanzees can be taught to understand a few words, that doesn’t mean we are the same except for being just a little bit smarter. We are different, we are special, we are spiritual, we are made in God’s image, and God created the world for us and us for Him, says Genesis. All Christians believe these three things, and that sets us apart from many people in today’s world. But we Christians can and do disagree on the rest of the details of the creation account. 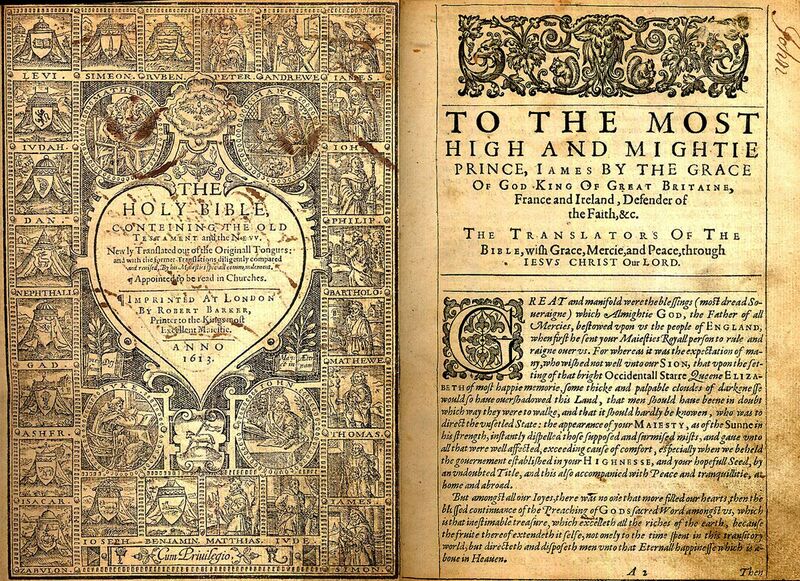 In 1654, James Ussher, an Irish Archbishop using the Bible alone, calculated the creation of the world to have occurred on October 22, 4004 B. C. at 6:00 p.m., or, a little over six thousand years ago. There are Christians today who, while not insisting on that exact date and time, do however believe the world to be less than 10,000 years old. This is not my view, and I think it is very difficult to argue scientifically for such a timetable. I believe in the Bible from cover to cover, but these people are interpreting the Bible to say far more than what it was intended to say. In my view, if Bill Bryson says the universe came to be over a period of 14.5 billion years, and the Bible says seven 24 hour days, we do not necessarily have a problem. I don’t know how scientists come up with 14.5 billion years, but I do know that the Bible uses different types of literature, including poetry, to proclaim the truths God wants us to know. And poetic imagery, while still telling the absolute truth, may tell it not with literal scientific facts, but with images and metaphors. But how about Genesis one and its seven 24 hour days; morning and evening of the first day, second day, third day, and so on? It does seem simple and clear enough. Morning is when the sun rises in the East, and evening is when the sun sets in the West. Sun up, sun down, seven days– and not 14.5 billion years. But when we look closer at the text, we see that there are three days of mornings and evenings before the sun is even created on the fourth day. How did that work? No matter what your view of the Bible is, you are going to have to do some interpreting there. Some will stick with the seven 24 hour days, saying that is what is implied in the rest of the text. Others will say, no, it looks as if the seven day format is more like poetic imagery. And this is not disrespecting the text, or undermining the authority of the Scripture. It is still seeing the same solid Biblical truth of God’s Word, but simply seeing this as a different type of literary device to portray that truth. And Bible believing Christians can come to different conclusions on this question. Genesis 1:27a — God created mankind in his own image. Genesis 1:31a — God saw all that he had made, and it was very good. 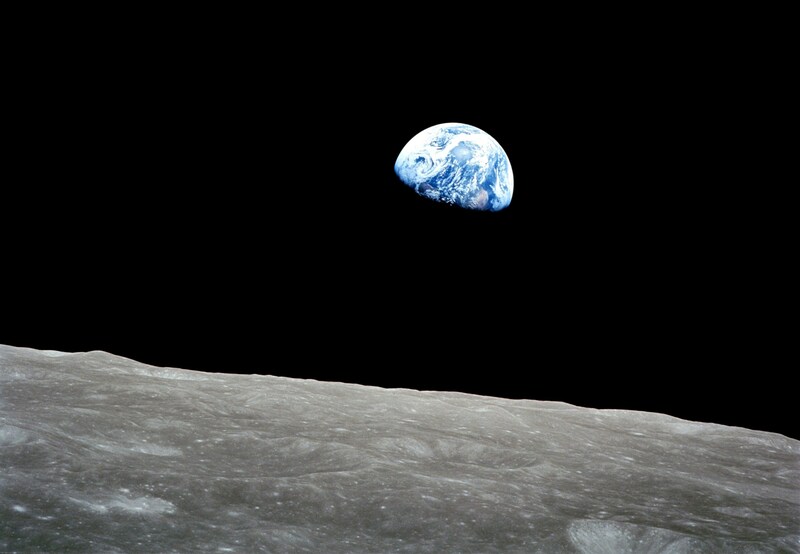 Earth seen rising above the moon on December 24, 1968. As Apollo 8 orbited the moon that day, in their broadcast back to earth the astronauts took turns reading from the first chapter of Genesis. In his Daily Hope blog yesterday, Rick Warren suggested nine questions to help in our meditations while reading God’s Word. Here are those questions, along with an example of a Bible verse that would apply to each one. You may want to print these questions and put them with your Bible to use in your daily reading, and/or, to use with the verses in each day’s Emailmeditation. Is there a SIN to confess? Does God’s Word make you aware of something you need to make right with God? Proverbs 28:13 — Whoever conceals their sins does not prosper, but the one who confesses and renounces them finds mercy. Is there a PROMISE to claim? There are more than 7,000 promises in God’s Word. Ask yourself if the passage you’ve read contains any promises. Is there an ATTITUDE to change? Is there something about which you need to think differently? Do you need to work on a negative attitude, worry, guilt, fear, loneliness, bitterness, pride, apathy, or ego? Philippians 24-5 — Don’t be concerned only about your own interests, but also be concerned about the interests of others. Have the same attitude that Christ Jesus had. Is there a COMMAND to obey? Is there a command you need to obey, no matter how you feel? James 5:10-11 — Brothers and sisters, follow the example of the prophets who spoke in the name of the Lord. They were patient when they suffered unjustly. We consider those who endure to be blessed. You have heard about Job’s endurance. You saw that the Lord ended Job’s suffering because the Lord is compassionate and merciful. Is there a PRAYER to pray? Paul, David, Solomon, Elijah, and Isaiah, among others, pray in the Bible. You can use their prayers and know that they’ll be answered because they’re in the Bible and in God’s will. Is there an ERROR to avoid? It’s wise to learn from experience, and it’s even wiser to learn from the experience of others. We don’t have time to make all the mistakes ourselves. So what can you learn from the mistakes of those in Scripture? Ephesians 4:29 — Do not let any unwholesome talk come out of your mouths, but only what is helpful for building others up according to their needs, that it may benefit those who listen. Is there a TRUTH to believe? Often, we’ll read something in Scripture that we can’t do anything about. We simply have to believe what it says. John 3:16 — For God so loved the world that he gave his one and only Son, that whoever believes in him shall not perish but have eternal life. Is there SOMETHING for which to praise God? You can always find something in a passage you can be grateful to God for, like something God has protected you from or something God has done. Psalm 103:1-4 — Praise the Lord, O my soul; all my inmost being, praise his holy name. Praise the Lord, O my soul, and forget not all his benefits; who forgives all your sins and heals all your diseases, who redeems your life from the pit and crowns you with love and compassion. 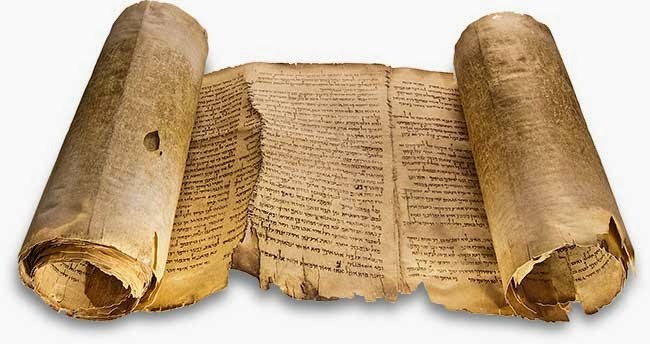 In the mid-19th century the truth of the Bible was often called into question by scholars who pointed to a lack of archaeological evidence for the Biblical accounts. In the century and a half since then, there has been extensive archaeological work done in Israel, and there have been hundreds of finds confirming the Biblical accounts. This year, archaeologists from the Israel Antiquities Authority discovered a 2,700 year old toilet that has an interesting Biblical connection. Artifacts discovered in the chamber rooms on the two sides give clues as to how they were used 2,700 years ago. For example, in the first chamber there were benches with armrests. At the foot of the benches were many items, including jars, scoops for loading grain, and jar handles bearing the name of the official or a seal impression indicating they belonged to the king. It appears that officials used the room to conduct government business. It was in this room that they found a “seat carved of stone with a hole in the center.” In other words, a toilet. Why was there a toilet in this sacred room? Archaeologist Sa’ar Ganor and team with the ancient toilet seat. To understand the significance of this find, we need to go back to the the reign of King Hezekiah in eighth century before Christ. Hezekiah had initiated series of reforms aimed at eradicating the worship of false gods in Judah. At the heart of these reform efforts was the elimination what the Bible called “high places,” cultic sites that contained an altar. They were usually located, as the name suggests, on a hill or a ridge. Lachish is located in the Judean foothills. At first these places were dedicated to the worship of Yahweh; but over time they became places to worship the pagan deities of Israel’s neighboring nations, especially the false god Baal. The Bible also tells us that “Asherah poles,” cultic objects dedicated to the worship of the Canaanite goddess of fertility, were often erected at these sites. The discovery at Lachish is the first instance of this practice being confirmed by archaeology. Micah 1:13 — You who live in Lachish… are where the sin of Daughter Zion began, for the transgressions of Israel were found in you. Hosea 10:8a — The ‘high places’ of wickedness will be destroyed— it is the sin of Israel. II Kings 10:27-28 — They demolished the sacred stone of Baal and tore down the temple of Baal, and people have used it for a latrine to this day. So Jehu destroyed Baal worship in Israel. II Kings 18:3-4a — (Hezekiah) did what was right in the eyes of the Lord, just as his father David had done. He removed the high places, smashed the sacred stones and cut down the Asherah poles. Almighty God, may we fear, love, and trust in you above all things. Amen. (…continued) The Jews did as they were told to do way back in the days right after their time of slavery in Egypt. At that time, they did not yet even have a land. There was no land, no temple, no king, not anything yet. All they had was the miracle of freedom won for them by God, and the promise of the land to which Moses was leading them. Fix these words of mine in your hearts and minds; tie them as symbols on your hands and bind them on your foreheads. Teach them to your children, talking about them when you sit at home and when you walk along the road, when you lie down and when you get up. Write them on the door-frames of your houses and on your gates, so that your days and the days of your children may be many in the land that the Lord swore to give your forefathers, as many as the days that the heavens are above the earth. Remember these words, said Moses, so that ‘your days in the land may be long.’ They were a couple interruptions, but the Jews are now still on the land Moses brought them to 33 centuries ago. During those interruptions, which they always interpreted as punishments for leaving God, they survived as a people by remembering the book. Well, so what? We aren’t Jews, so what does any of this have to do with us? We believe in Jesus, and Jesus was a Jew, and he said he was the fulfillment of everything the Jews hoped for and believed in. Not only that, but Jesus said he was here to be the fulfillment of all the hopes of all people of all nations and times, just as God had intended way back in the beginning of the Old Testament. We see our New Testament as simply the continuation of the story begun in the Old Testament. 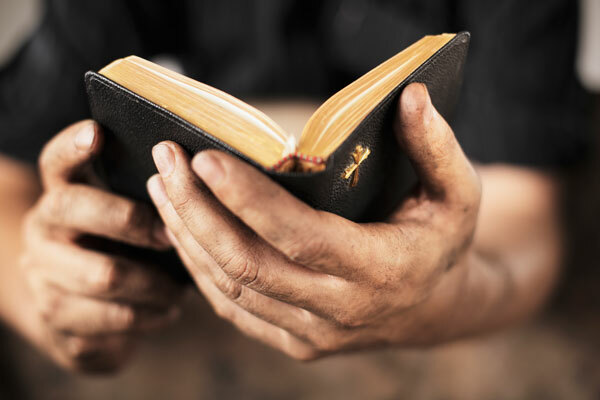 So that old book is our book too, and the stories in it are our stories too, and though we are not the physical descendants of those people, Paul himself says in the New Testament that by faith we are their spiritual descendants. The command of Moses to fix these words in your hearts and minds are, therefore, commands to us also. We also learn what it means to have faith by hearing the stories of the Old Testament people of faith. We learn from the story of Solomon that even if you are given every blessing and have every opportunity handed to you on a silver platter, you can still mess everything up if you are not faithful. From the story of David we learn the even the best of God’s faithful people make mistakes, but can then be forgiven and life can go on. From the story of Job we learn that even a very good person can suffer terrible tragedy and get very angry at God, but faith can survive. From the story of Gideon we learn that even a ‘nobody’ can, with God’s help, do great things. From the Psalmist we learn that even in the deepest despair God is with us and will bring us through. From Samson we learn that even a guy who made all the wrong moves could still, by faith, come through at the end, be blessed by God, and finish well. From the liar and cheater Jacob, we learn that it really is true that ‘what goes around comes around,’ but then, one might still receive an unexpected and undeserved blessing. From Abraham we learn that faith can live and thrive even without understanding. Abraham was in the dark about most things, most of the time, but he trusted God, and acted on what he did know, and he was blessed. From Habakkuk who prayed over and over again, ‘How long, oh Lord,’, we learn that we might have to wait a very long time for God to answer our prayers, but we can trust that in the end He will come through for us with what is best. Believe this story, Jesus tells us, and you shall know how to live, and you shall live, now and forever. Romans 4:16 — Therefore, the promise comes by faith, so that it may be by grace and may be guaranteed to all Abraham’s offspring— not only to those who are of the law but also to those who have the faith of Abraham. He is the father of us all. Heavenly Father, we pray that you so nurture us in your Word that our lives may please you, and that other people may be attracted to you by our godliness. May your commands and promises be written into our hearts, and constantly kept in our minds. May your Word be for us far more precious than our own life and whatever else we cherish on earth. Help us to live and act accordingly. Amen. Before sending Lewis and Clark out west on their famous expedition, President Jefferson prepared a list of scientific questions for them to investigate on their expedition. Most were the kinds of questions you might expect, concerning things like geography, geology, plant and animal life, weather, and so forth. But there was one very odd assignment. The president wanted to know if there were any similarities between the religious beliefs and ceremonies of the Indians and those of the Jewish people. 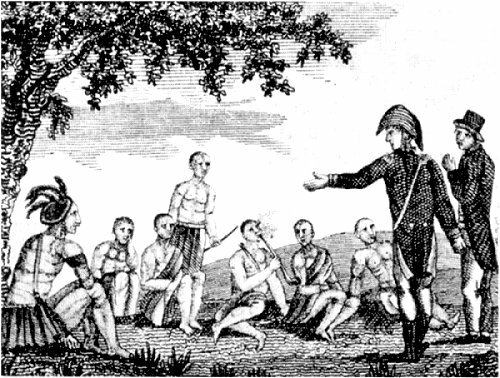 Jefferson, like many of his day (and some yet today), was fascinated by the ten lost tribes of ancient Israel, and wondered if they perhaps might be out there on the Great Plains. They weren’t. They aren’t anywhere. They are gone. And their disappearance from the pages of history twenty-seven centuries ago should not be surprising. It is what happens to every people group whose armies are defeated, whose nations are destroyed, and whose people are scattered. After the rule of King Solomon in the tenth century B.C., the nation of Israel was divided by civil war. Ten of the twelve tribes (what we would call states) formed their own nation in the North. Two tribes, Judah and Benjamin, kept the capital city of Jerusalem and the territory in the South. The southern kingdom endured, and their descendants are now called Jews, named after the larger of the two states, Judah. The northern kingdom lasted about three hundred years, and was then defeated, destroyed, and scattered– end of story. Over the years legends have arisen about those ten lost tribes migrating somewhere and surviving. President Jefferson was aware of these legends, and therefore told Lewis and Clark to keep an eye out for them in their journey West. If the explorers were invited to any bar mitzvahs or Passover suppers, Jefferson wanted them to make note of it. But they weren’t, and there has been no sign of the ten lost tribes anywhere. The northern tribes as a distinct people just simply disappeared. Whoever wasn’t killed in the war that obliterated the nation in 722 B.C. was either put into slavery, or, intermarried with people from other cultures. Either way, as slaves or by inter-marriage, they then blended in with other tribes and peoples, and became something else. Some who blended in with others became Samaritans, and there were some of them around yet at the time of Jesus. But they were something different. Those ten tribes of Israel were indeed lost. This has happened to countless groups and cultures of the world’s people. They just disappear. Many individual members of the group may live on, but as they blend in with other, dominant groups, their distinction as a nation or a culture disappears. Have you ever met any Moabites, Ammonites, or Philistines? Probably not. They are also all gone. The Southern half of the Kingdom, Judah, lasted 150 years longer than the North. In 565 B.C. they were defeated, destroyed, enslaved, and carried off into exile. But for them, that was not the end of the story. After 70 years, they were allowed to go back and rebuild their land. This new nation of Israel lasted a few more centuries, and was the nation into which Jesus was born. In the generation after Jesus, Israel was again defeated and destroyed, and the people were scattered. The usual result of that would be their disappearance as a people. But the Jews did not disappear. They did not blend in. The Jews survived and thrived in cities all around the world. They survived as a dislodged and dispersed people, without a homeland, for nineteen centuries. Then, in just the last century, it became possible for them to go home again. Sixty-eight years ago yesterday, on May 14, 1948, the modern nation of Israel was born. It was a new, but not new, nation. The Jews had survived as a distinct people, now once again they would have a land. One historian said, “Israel is the only nation in the world that is governing itself in the same territory, under the same name, with the same religion, and the same language as it did 3,000 years ago.” And the Jews did it without having a land of their own for two-thirds of that time. They are unique in world history. No other people comes even close to that kind of resilience. How did they do it? How were they able to maintain their identity as a people after losing almost everything? They lost their independence, they lost their government, they lost their land, they lost the Temple which was the center of their religious life, and they even lost their common language. In 1948 the new nation had to resurrect the ancient Hebrew language for their national language, because no one but scholars had spoken it for centuries. Everyone had to learn it. So after losing everything and being scattered for 19 centuries, how did the Jews survive as a people? II Kings 17:5-6a…18 — The king of Assyria invaded the entire land, marched against Samaria (the northern kingdom) and laid siege to it for three years. In the ninth year of Hoshea, the king of Assyria captured Samaria and deported the Israelites to Assyria… The Lord was very angry with Israel (the northern kingdom) and removed them from his presence. Only the tribe of Judah was left. Isaiah 60:19b-21 — The Lord will be your everlasting light, and your days of sorrow will end. Then all your people will be righteous and they will possess the land forever. They are the shoot I have planted, the work of my hands, for the display of my splendor. A thousand years later, Solomon was still being talked about. When Jesus wanted compare the beauty of nature to the ultimate in human splendor, he thought of him, and said, “Not even Solomon in all his splendor was dressed like one of these little flowers” (Luke 12:27). The first ten chapters of the Old Testament book of I Kings describes the greatness of King Solomon and all the wonderful things that resulted from his leadership. Then, in the first verse of chapter eleven there is an ominous however; “However Solomon loved many foreign women.” As is often the case, the man’s strength became his weakness. Solomon was an expert at diplomacy with other nations. One of the ways diplomacy was done in those days was by the inter-marrying of royal families as a way to guarantee a peace treaty. Kings often had several wives in the Old Testament, even though nowhere did God recommend or approve of the practice. Solomon got himself involved in many diplomatic marriages, and these women brought into the marriage and into Israel all their foreign gods. Always the peace keeper, Solomon would accommodate the religions of these foreign wives by building altars and idols all over the place. Before long it was hard to tell who believed what in Israel, as the religion of the people was corrupted. The God who had so richly blessed Solomon was nearly forgotten. Not only that, but someone had to pay the price for all of Solomon’s building programs, and taxes increased greatly. Even then, there was not enough money to pay for all the labor needed, so non-Israelites living in the land were often forced into slavery. This led to great dissatisfaction, then to violence, and nearly to a civil war. The initial rebellion was unsuccessful, but the problem was only postponed. Almost immediately after Solomon’s death the nation was at war with itself and the split did come. Then, instead of one strong nation, there were two weak nations, often at war with each other, and the good times came to an end. Never again would Israel have such peace and prosperity as they did in the early years of King Solomon’s reign. The story of Solomon is one of the greatest tragedies of the Old Testament. Solomon’s God-given wisdom and abilities allowed him to rise high, bringing the whole nation with him. But when the goodness of his youth disappeared, his pride and sinful blindness led to the downfall the nation. Intelligence is no substitute for moral character and obedience to God. Solomon had wisdom, but not virtue, and one without the other will lead to ruin. Solomon asked for and was given the ability to discern right from wrong– but he still had the freedom to choose one or the other. In the end, he began to choose what was easy and profitable and not what was right. The Bible tells these stories to teach us and to caution us. 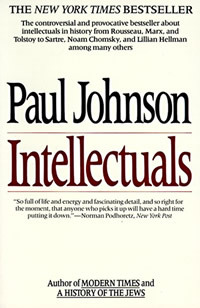 In his book Intellectuals, historian Paul Johnson described the personal lives of several people considered to be among the smartest and most influential people of the last few centuries. He wrote about Rousseau, Shelley, Marx, Ibsen, Tolstoy, Russell, Sartre, and more, people whose books are still read and whose ideas have shaped the world we live in. Some of these ideas were good and some were not, but all the men and women described in this book were brilliant and inspired huge followings. Yet, the story Johnson tells of each is a story of outrageous sin and failure in their own personal lives. Their successes and the many admirers they had around them seems to have resulted in a pride and arrogance that made them all extremely self-centered, and then careless, thoughtless, and wicked in their treatment of everyone, especially their closest loved ones. The book is filled with shocking stories of abuse, greed, rudeness, unfaithfulness, irresponsibility, lies, cheating, and even violence. The message is clear– intelligence is no guarantee against sin and moral failure. The daily newspapers tell the same story as Johnson’s book. Presidents Nixon and Clinton were brilliant men, but both had their time in office marred by huge moral failures. John F. Kennedy and Martin Luther King, Jr., also brilliant and greatly admired, were world-class adulterers. And few today would want to argue for the high moral character of the two current front-runners for the next president of the United States. Polls show that many people feel they will be forced to vote for the person they find least despicable. Ironically, Paul Johnson himself, the moralizing author of Intellectuals, was also publicly shamed. He too is an intellectual, a writer of many huge books on a wide variety of subjects: the story of Christianity, a definitive history of the United States, a history of the 20th century, books on the arts and sciences, etc. He seemed to be a man of upright, unquestioned morality; a loving family man, good father, the same wife all his life, faithful churchgoer, promoter of conservative beliefs and standards in his writings, eloquent and powerful defender of traditional values. Yet, in his later years it was revealed to the great disappointment of his family and friends that he had been involved a long-term adulterous affair. Johnson’s own life became an example of the same moral failure he condemned in other intellectuals. Intelligence is no guarantee against foolishness and sin. The Bible has its own account of this kind of failure, which is in many ways the most striking example of all. It is in the story of King Solomon who became king of Israel after the death of his father, the great King David. Not long after Solomon became king, the Lord God appeared to the young man in a dream and made him an amazing offer. “Ask me for whatever you want,” God said to the new king. What an offer! Even God was impressed by the request. I Kings 3:10 says that God was pleased, and told Solomon that since he asked for wisdom to rule, and not for wealth and long life, God would give him that too, along with a wise and discerning heart for the administration of justice. Not only that, but God went on to say that his gift of wisdom would be like no one ever had or would have. Thus, Solomon was the most intelligent man who ever lived. Proverbs 1:7 — The fear of the Lord is the beginning of knowledge: but fools despise wisdom and instruction. Proverbs 14:16 — The wise fear the Lord and shun evil, but a fool is hotheaded and reckless. Proverbs 16:25 — There is a way that seems right to a man, but in the end it leads to death. Proverbs 19:3 — A person’s own folly leads to their ruin, yet their heart rages against the Lord. —Take My Life and Let it Be, Hymn by Frances Havergal, 1874, verses one and four.